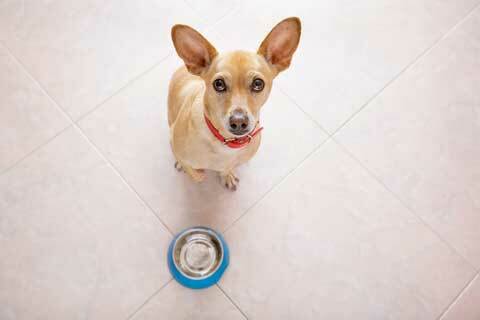 Dog Food Safety: What is in My Pet's Food? Dog Food Safety: What is in My Pet’s Food? With over 50 different brands of dog food on the market it can be difficult to decide which dog food is best for your pet. There are many factors to consider including wet or dry food, cost, taste (your dog’s, not yours), ingredients, and the specific needs of your dog. Perhaps most importantly, dog owners must make sure that the dog food is safe. Luckily, in the United States, the manufacturing and sale of dog food is regulated by the Federal Food and Drug Administration (FDA). However, despite the efforts of the FDA, there have been incidents of dogs becoming sick or dying from eating contaminated dog food. All recalls result in the product being removed from shelves and notices to pet owners to stop feeding pets the recalled products. A recall can be due to a number of different reasons. For example, the presence of banned ingredients, a risk of contamination due to bacteria or prohibited chemicals, or unacceptable levels of permissible ingredients can result in a recall. Regardless of the reason, once recalled, it is important to immediately stop using the product and contact the manufacturer. In 2016 and 2017, there were approximately 20 dog food recalls. So far in 2018, there has already been over 20 recalls issued. The rising number of recalls, however, is a bit deceiving and does not necessarily indicate that dog food in general is less safe. This is because while there are many brands of dog food, most dog food is manufactured at one of a dozen facilities that produce many different brands. As a result, if one dog food plant is contaminated, then several brands of dog food could be affected and result in recalls. So, while it may seem like there have been more recalls recently, one incident of contamination could result in 8-10 brands being recalled. substantial amounts of meat-based protein. Not surprisingly, the more natural ingredients and less preservatives used in dog food the more health benefits to your dog. Just like people food, smart consumers will review the list of ingredients and avoid generic terms such as “meat,” “meat meal,” or “meat and bone meal.” Instead, look for dog food that specifies the type of meat, such as “chicken,” “salmon,” “turkey” or “beef.” The same is true for chemicals and additives. In general, avoid products with ingredients that you don’t recognize. Many of these ingredients are banned for human food but permitted in animal food such as xylitol (sugar alcohol), BHA and BHT (chemical preservatives), and food dyes Blue 2, Red 40, and Yellow 5. Other tips for finding the healthiest dog food is to avoid any brands with corn or soy. Instead, look for real ingredients including fruits and vegetables. Natural preservatives are best for dogs (and humans) and dogs need a variety of nutrients to stay healthy. Consulting your veterinarian or pet care specialist will be helpful particularly if your pet has special needs that can be improved with a specific diet. Also, dogs may be allergic to certain food or ingredients, so be aware of your dog’s behavior and changes in skin, appetite or bowel movements that may be the result of the food. Be sure to consult your veterinarian if your dog is displaying any of these symptoms. Pet insurance can also help reimburse expensive veterinary visits and help you afford the best care. Choosing the right dog food for your pet can be challenging. Just like the search for the perfect human diet, there can be a lot of confusing information regarding dog food. For example, many dog owners avoid feeding grain to their dogs because of the popular notion that dogs should eat only proteins. While this is a good general rule, experts have noted that high-protein diets may be harmful to older dogs. Also, pet owners need to look closely at the ingredients because some dog foods claim to be “grain-free” yet use plant-based proteins which includes corn and soy, which is not healthy for dogs. Grains have also been rumored to be the primary cause of allergies in dogs, when in fact, according to the American Kennel Club, allergies can result from wheat, but not “grains” in general. In fact, allergies in dogs are most commonly caused by eating beef, dairy, wheat, chicken and egg. Ultimately, each dog is different and dog owners must consider a dog’s breed, age, health and special needs to decide which dog food is best. Of course, all dog owners must be aware of recalls and any changes in your dog that may be the result of food. Dog owners become acutely aware of their dog’s behavior and often your dog can “tell” you if something is wrong. Maintaining a healthy diet for your dog may be just as challenging as watching your own diet, but by paying close attention to ingredients, FDA warnings, and consulting with your pet care provider, you will be able to choose the best and healthiest dog food for your pet.